After a few missed attempts a girlfriend, my husband and I set off on a journey back in time to 1950s Ireland and Brooklyn, New York City, via the movie Brooklyn. We were not disappointed. 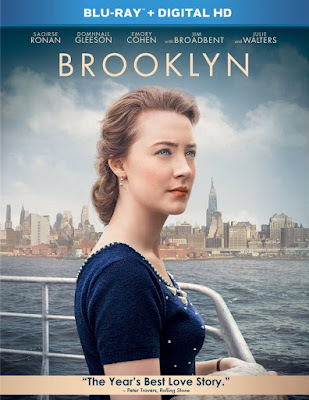 Brooklyn is a beautifully shot period drama that follows the path of a young Irish woman leaving family and friends behind in Ireland to seek a better life for herself. It shares details of life in Ireland, life aboard the boats that brought immigrants to the shores of North America and what it was like to be an Irish immigrant on our shores in that era. It is also a love story with lots of emotional highs and lows on both sides of the pond. The film stars Saoirse Ronan, Emory Cohen and Domhnall Gleeson none of whom I was particularly aware of previously. A bit of research reveals that Ronan, the actress who plays the lead role of Eilis Lacey, was actually born in New York City to Irish parents who moved to Ireland when she was three. She has appeared previously in a number of projects including Atonement in 2007 for which she won the youngest-ever Academy Award nomination. 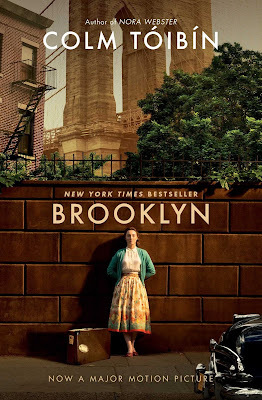 Brooklyn was adapted into a screenplay by Nick Hornby (who wrote About a Boy and so much more) from the book by Colm Toibin. I have not read that book yet and ahve put it on my must read list. 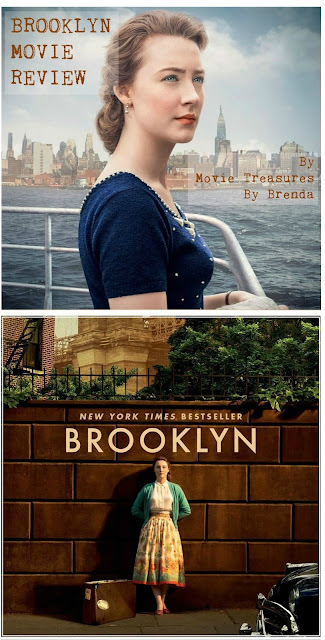 Brooklyn is rated PG-13 for sexuality and strong language with parents strongly cautioned. In terms of what to watch out for or be aware of, there is really not much for the adult viewer. It has sexual references and one sexual scene though I did not find it to be a very uncomfortable scene. It has drinking and smoking and one death though not a violent one. You can buy or rent Brooklyn right now from Amazon by clicking right here. I think the book and the movie would make a fabulous gift idea for any woman who enjoys a beautifully made film and a love story. I think I'd really like this movie. Thanks for the excellent review, Brenda! Hard to believe you'd never heard of Saoirse Ronan. I enjoyed your review. 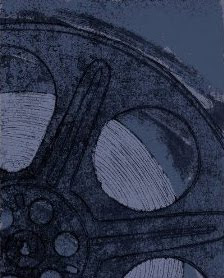 Incidentally Colm Toibin's novel is a great read. You are welcome, Susan. I do think you'd like this movie. Thanks, anonymous, for the book recommendation, too.